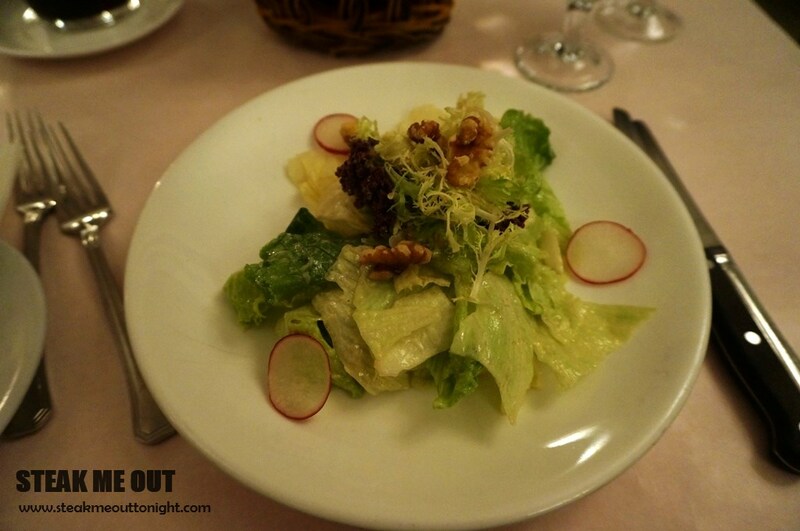 W’s Entrecote was another French style steakhouse in Hong Kong. Originally I had planned to go to Ruth Chris’ steak house but time and availability constraints forced me to change locations. 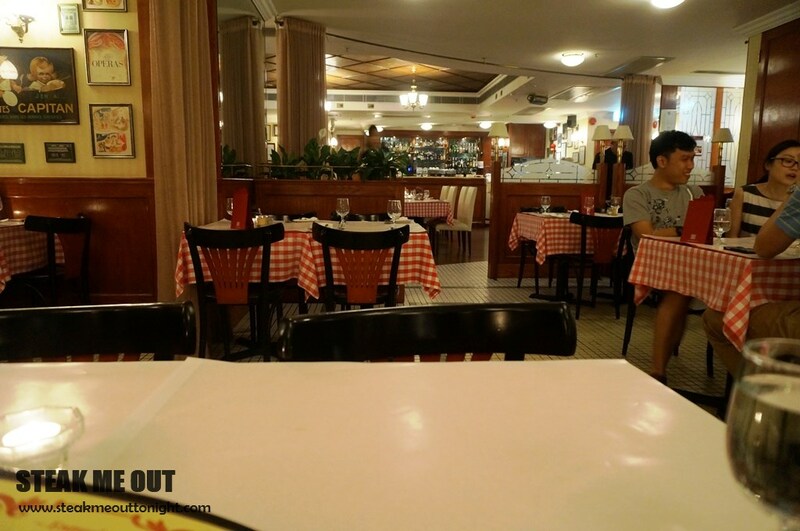 W’s Entrecote is a very old fashioned French steakhouse, it was similar to La Vache, however being the older of the two it seemed heavily dated compared to its newer competitor. While the menu is much more elaborate, I decided to compare the two French steak houses and therefore I’d eat the same, a salad entre and steak frites. The salad came out quickly after I placed my order as the place was quite empty. It was great, slightly more enjoyable than the La Vache one. The steak came out shortly after (I’d ordered a US steak, cooked Medium rare), and it was served similarly to the La Vache one as well but less theatrically. Unfortunately it was Medium rare to medium and quite thin. The US beef has a definite difference in flavour, bolder and sweeter. Slightly under seasoned, but the butter sauce it came with really helped it. The steak was tender, almost eye fillet melt in the mouth, so no real complaints there either. 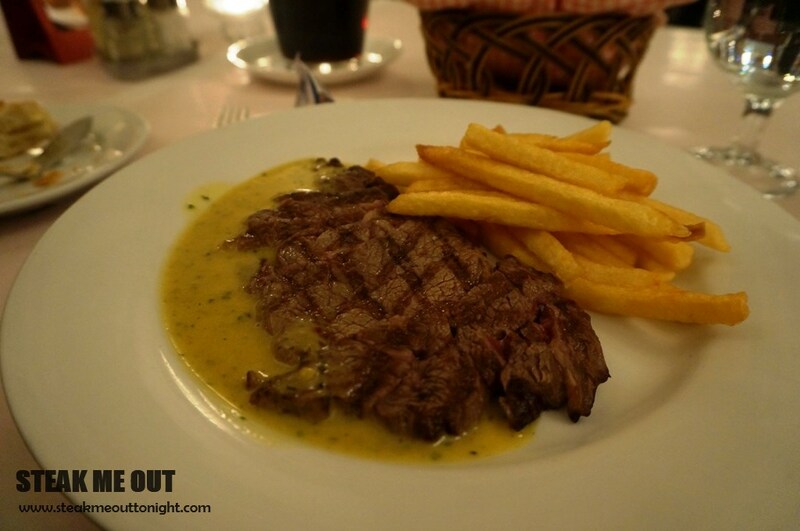 The steak at W’s Entrecote, while not as amazing as La Vache, was still great. The fries were also the best shoestring I’ve ever had. 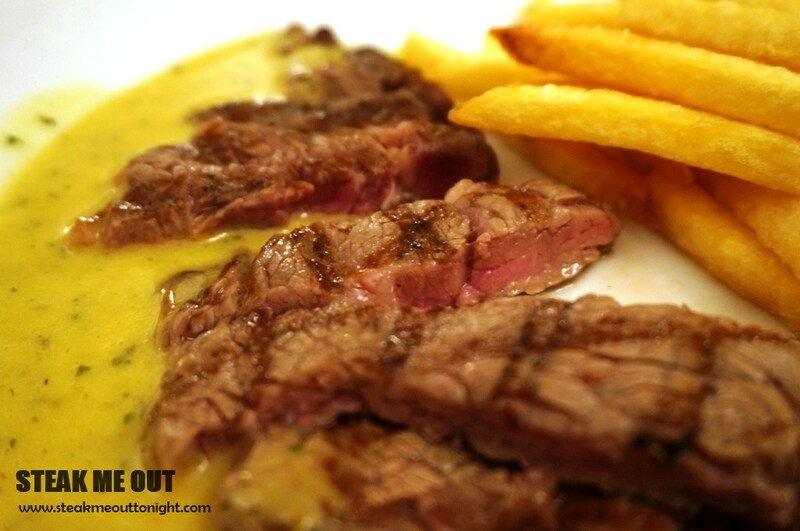 Posted on November 9, 2014 November 9, 2014 by AdrielPosted in Hong Kong, SteakTagged Hong Kong, Scotch Fillet, Steak Frites, Steaks.